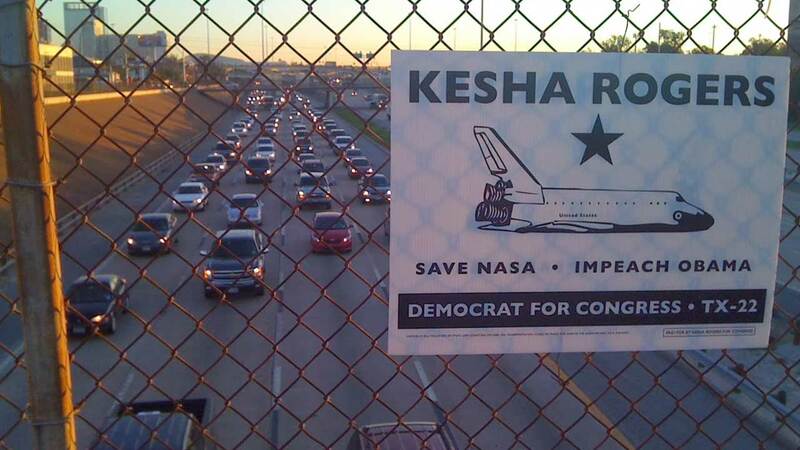 Kesha's 2010 "Save NASA, Impeach Obama" for the 22nd CD in Texas drew national and international attention. Despite a full-throated slander campaign by the local Democratic Party, Kesha won the Democratic Party nomination for TX-22 in 2010, and again in 2012, as an anti-Obama Democrat in the tradition of Franklin Roosevelt, John F. Kennedy, and Lyndon LaRouche. Escalating on these victories in 2014, she ran for U.S. Senate in Texas, forcing a runoff from the five-way race. She is continuing her campaign today, to unify the country around a national mission for space exploration, through her work with the LaRouche Political Action Committee. The timeline on this page traces an overview of Kesha’s ongoing campaign to realize the vision shared by the pioneers of America’s entry into the Space Age, such as Krafft Ehricke and President John Kennedy. The commitment to space exploration must be based on the defense of the creative identity of the human mind. Human beings are a space faring species, not meant to be confined to Earth. We have a mission to discover and come to understand who we are as mankind in the Universe. What is mankind in the Galaxy? We must bring about a unified mission for mankind that establishes a completely new view of the Solar System, defined not by the compartmentalization of space, but by a unified galactic system. Visionary leaders like Space pioneer Krafft Ehricke and President John F. Kennedy understood that the industrial development of the Moon and beyond is not just a worthwhile undertaking, but an extra-terrestrial imperative. Today, China is leading the advance toward this extraterrestrial imperative with steady progress of its lunar program. For the last six years I have led a national campaign to defend our U.S. manned space program, which is fundamental to the progress of our nation’s economic development, and provides the basis for peaceful relations among all nations. Our manned space program, and the future of our nation, has been under brutal attack since 2010, with the egregious cuts and dismantling of our space program, starting with Obama’s canceling of the Constellation program, and the cuts to a fusion science driver program, important for the development of fusion propulsion technology, which is absolutely essential for the exploration and nearby and distant bodies in space. We must restore our commitment to a unified national mission dedicated to the exploration of space, starting with the development of the moon. An interview with Kesha during her 2014 Senate campagin. While Republicans and Democrats alike continued to protect Obama, standing idly by as vital U.S. aerospace industry capacity is shut down, Kesha launches a second congressional campaign for TX-22, putting the restoration of Glass-Steagall and a national space renaissance together as a bold package for a U.S. recovery. Again, the people of the 22nd congressional district respond loud and clear: “Save NASA, Impeach Obama!” Kesha becomes the Democratic nominee for the 22nd congressional district for a second time in a row, again, with over 50% of the vote. Despite party hacks working overtime to try to stop Kesha, she wins 21% primary, forcing multi-millionaire David Alameel into a run-off for the Democratic nomination for U.S. Senate. 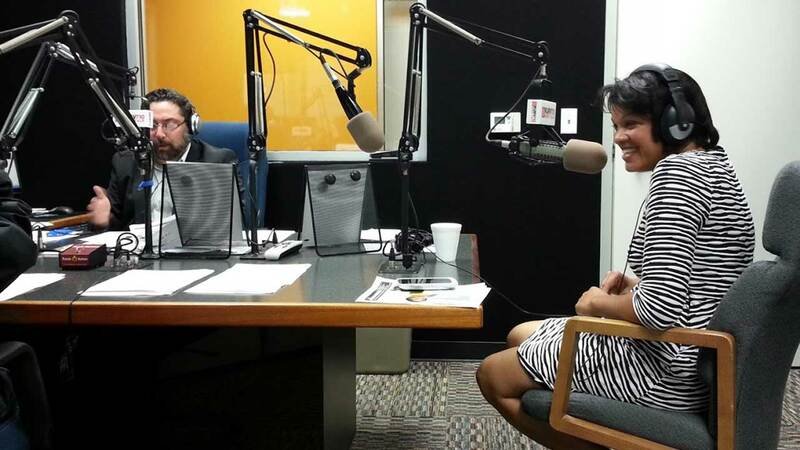 February 1, 2016Two-time democratic nominee for U.S. Congress (TX-22), Kesha Rogers, weighs in on the urgent necessity for a revitalization of the U.S. space program. One of the few national missions large enough which could serve as an antidote to the crumbling cultural and economic wasteland now subsuming the United States! By Kesha RogersCan we bring about such collaboration and peace among nations? The obvious answer is, we can, provided that we act to rid ourselves once and for all of a dying British Empire and remove Obama from the Presidency, now. Our U.S. space program, NASA, must be restored to its rightful place as the spark-plug for a national recovery. This must be done as a key to bringing the United States into collaboration with the nations of Russia and China, along with other nations, thus defining a new paradigm for mankind. By Kesha RogersOn February 12, 2016, former Democratic Congressional nominee Kesha Rogers was the featured speaker on the LaRouche PAC weekly webcast. Rogers, from Houston, Texas, is famous for her Congressional campaigns that called for the impeachment of Barack Obama and the revival of NASA. March 23, 2016New Paradigm for Mankind Show—Just returning from intervening at a major lunar and planetary science conference, Kesha Rogers joins Megan Beets and Benjamin Deniston to discuss the absolute necessity of mankind's pursuit of space development. While Obama has presided over the shutdown of NASA's manned space program, Kesha has led the fight to save and advance our space program. Now is the time to toss Obama aside and pursue our true destiny as a creative species. To Save the U.S. Economy, Revive the Space Program! By Kesha RogersNow the United States faces a critical decision which will determine the future of our nation. Will we continue to go along with the dying policy of the trans-Atlantic system, which is a policy of death for our U.S. economy at the hands of the bankrupt Wall Street financial institutions and the destructive policies of the last four terms of the Bush and Obama Administrations? April 24, 2016Standing before the statue of Confucius in Houston's Rose Garden, LaRouche PAC Policy Committee member Kesha Rogers congratulates the nation of China for its establishing of a national day of celebration of its entry into the Space Age, and comments about the continuing role space exploration plays as a benefit and driver of human civilization, as expressed by China's "win-win" spirit of collaboration. Kesha calls upon the United States to abandon geopolitics and join with China in this endeavor.